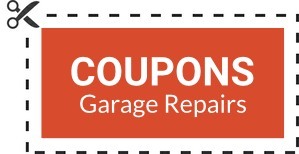 Click below to see if we have any repair coupons this month! Check out our current specials for new doors and new door installation! At All Garage Doors we have some of the most qualified and experienced garage door technicians in Utah. We provide new garage door installation and garage door repair and promise three things, fast service, fair prices and a 5 star experience. If you need a new door or have a repair (large or small), we invite you to give us a call and let us earn your trust and continued business in the future. Call us today at 801-577-2402. We look forward to serving you!